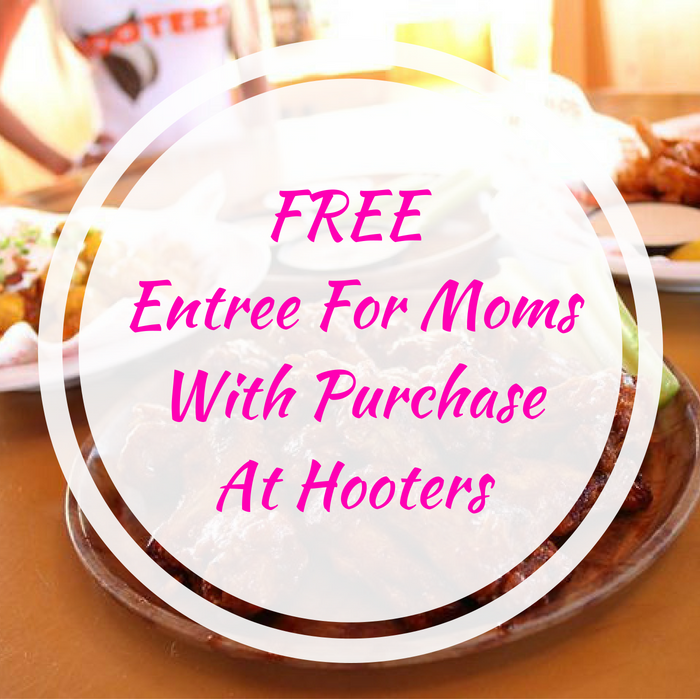 FREE Entree For Moms With Purchase At Hooters! You are here: Home / FREEbies / FREE Entree For Moms With Purchase At Hooters! On May 13, from 11am to 11pm only! Together with your mom, head over to Hooters to get a FREE Entree with any beverage purchase! Moms will be able to select a FREE Meal from a special Mother’s Day menu. This is gonna be an awesome treat!